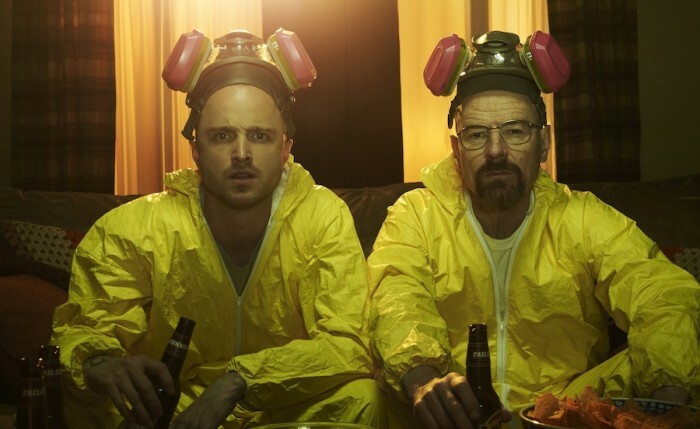 Breaking Bad is the most streamed programme in the UK, according to new research. One thing that is driving growth without a doubt, though, is data. It is what Netflix famously uses not just to recommend content to customers – see our interview with a Netflix Tagger, one of the people they hire to tag content with relevant genres – but also to decide which original content to commission. Indeed, Netflix’s big data approach is defined by the confidence with which they commission full series, while rival Amazon openly invites the public to offer feedback on batches of pilots to determine which to develop. Now, though, GfK’s study gives us an idea of which titles are being streamed where. 2,749 subscription VOD (SVOD) users in the UK and 2,866 in the US were asked to keep a diary of what they watched across Netflix, Amazon and Hulu Plus between December 2013 and March 2014. For Brit streamers, Breaking Bad dominated demand, with 11.9 per cnet of all streams, a good indicator for Netflix’s leading position in the market. Indeed, Vince Gilligan’s drama was far ahead of second place Dexter and third place Prison Break, both of which are also on Netflix, while the company’s own House of Cards was the fourth most-watched, accounting for 3.1 per cent of all streams. 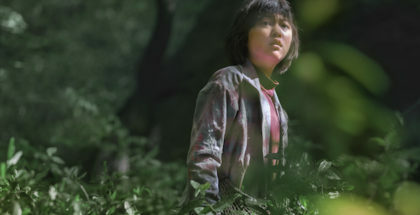 The Walking Dead was the fifth most popular, a show that Amazon has snapped up in the UK – despite Netflix owning the rights across the Atlantic. Sons of Anarchy (Netflix), 24 (both), Heroes (Amazon) and Desperate Housewives (Amazon) complete the top 10, with Orange Is the New Black in ninth place – a striking contrast to Netflix’s comments, which have previously declared the prison series to be their most popular original content. In the US, on the other hand, House of Cards edged ahead of Breaking Bad to take the top spot, making up 4.6 per cent of streams compared to 4.3 per cent. Dexter, The Walking Dead and Orange Is the New Black complete the top five. The survey also asked people why they sign up to VOD services. 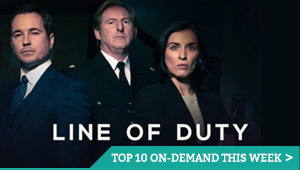 Despite widespread declarations that now is the golden age of television, two thirds of Brits said they signed up to a subscription service to access the back catalogue of movies – while just 50 per cent said it was to access TV programmes. 47 per cent said it was to watch new movies, 40 per cent said it was to watch films or shows at a time that suited them and 1 in 3 (32 per cent) said it was to binge-view multiple episodes in a row. What is also clear is that Netflix is enjoying strong success in the UK VOD market – in case the growing size of its memberbase is not clue enough. 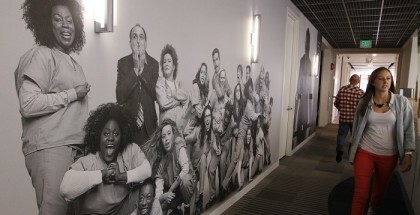 The company has invested big money in its original content and that risk is evidently paying off, with both House of Cards and Orange Is the New Black ranking in the 10 most-streamed titles. It also accounts for the majority of the most popular VOD content too. The data, of course, should be taken with a pinch of salt: with House of Cards releasing a new season at the end of the research’s period, more viewers would have been inclined to catch up in time for the launch. Sky’s NOW TV also offers TV and movies on a subscription basis and is not included in the sample, which would then paint a more complete picture of the market. Which brings us back to data. VOD companies may not reveal their secret stats to the public, but GfK’s glimpse of the UK figures shows that the figure-crunching approach to commissioning and selecting content is working. Netflix’s numbers – whatever they are – definitely add up.